Same comments as other item on this order. A great quality phone cover, we have had it now a few weeks and is used in dirty outdoor conditions, yet it still looks brand new. Protects the screen well and space for credit cards and money. Very high quality product. I already have one and it has been an excellent phone case that I bought one for my husband! Bought the vintage navy leather wallet for Apple iPhone 6S. Love it! Great feel, looks smart, phone fits securely in the inner plastic case, just the right amount of credit card slots (3) and inner pocket. The case does somewhat scuff up on the outside but that is to be expected. Delivery was very quick (days). And price feels about right. Bought one for my other half as a birthday present too. Both very pleased. Excellent quality leather and as described online. Absolutely love my navy leather phone cover. Space for my cards and a emergency note! 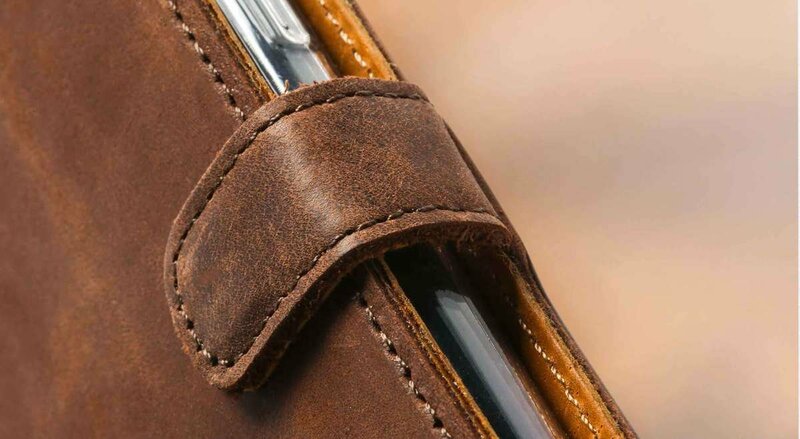 Really soft leather, very well made. 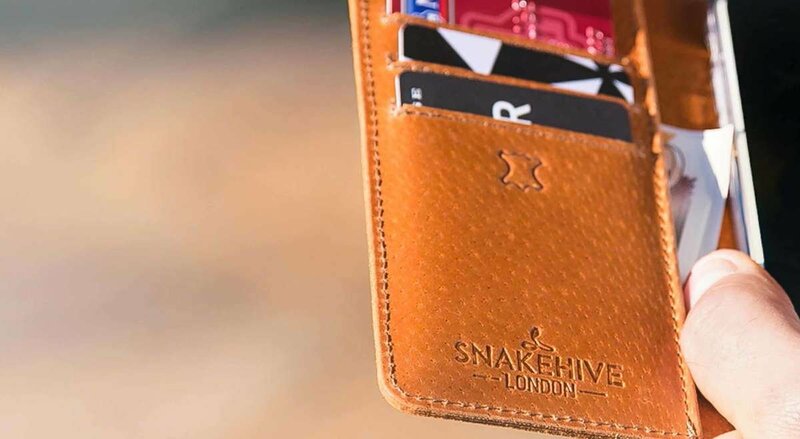 Nice little snake hive logo on the front and inside. Really pleased that I purchased this. Excellent quality leather, well made and pleasing to the feel and eye! Beautifully made. Looks great, very luxurious. A nice change from black. Well made and lightweight. This was ordered as a gift but the quality is very good and am sure it will be well received. A really nice product however it gets marked really easily and leaves fingerprints or stains easily. Good quality, smart and serviceable. Magnetic fastener works very well. Will hold three/four credit cards if you want that facility. I love this phone case! The leather is great quality, it's brushed rather than shiny which is how I wanted it, it's well made, fits my phone perfectly & is very stylish! My only 2 comments are: 1. The inside is a tan/undyed leather colour, rather than the yellow it appears in the picture. I actually prefer this look to the yellow so that's great for me 2. As the entirety of the back of the case is attached to the phone cradle, it's a bit difficult to text two handed, possible but not as easy as with my last case Other than that, this was a fantastic purchase, and I'll definitely be back again in future!